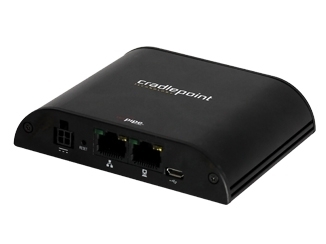 Congrats to Mike M. of Pittsburgh, Pennsylvania who just won a $25.00 Restaurant.com gift code for writing a review for Cradlepoint COR IBR650LE-VZ Integrated Broadband Router (No WiFi) with Embedded Verizon 3G/4G Modem at 3Gstore.com! Every week we randomly pick one product review from the previous week and award the writer a $25.00 gift code. We appreciate ALL the reviews our customers write, whether they are positive or negative - honest reviews like Mike M.\'s help other customers decide if the product is right for them. After you purchase a product from 3Gstore.com, we encourage you to log in and 3Gstore.com and leave a review letting people know how the product worked for you - you'll be helping others, and you'll automatically be entered to win a restaurant.com gift code!. We have been using the device and amplifier for a little over two weeks now and it has been really stable. No downtime! Previously, we used a MiFi and cellular bridge combo that suffered frequent disconnects and equipment failures. If the 650 continues to function this well, we will be very happy customers. Setup is simple and the folks at 3gstore helped me through it seamlessly. Thanks! !